Note! This model does not include a lens. Body Only. 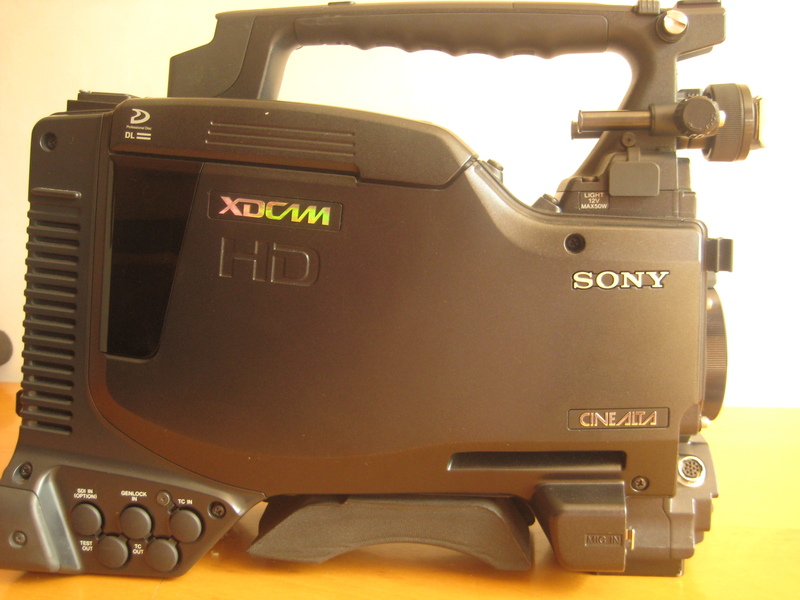 MPEG HD422 Improving upon the XDCAM HD format, the PMW-F800 records MPEG HD422 at 50 Mbps. The format is a higher-bitrate version of widely used MPEG HD, allowing for more accurate chroma processing. By utilizing its increased 4:2:2 color space (as opposed to 4:2:0) there's more versatility in digital post production, especially during color correction and DI mastering. Blue Laser Optical Drive Technology The XDCAM HD series is anchored by Blue Laser disc, which allows for storage capabilities large enough to record professional quality video. Optical discs give operators more control of the footage they acquire. This can be useful in instances such as news gathering, where footage often goes direct-to-broadcast. The hassle of rolling through tape is eliminated. Optical recording provides users with the advantages of non-linear recording and playback combined with long record times that can often be vital in the field. Sony's dual-layered 50GB discs not only increase these run times but also provide an ideal archiving method not possible when using flash-based camcorders. 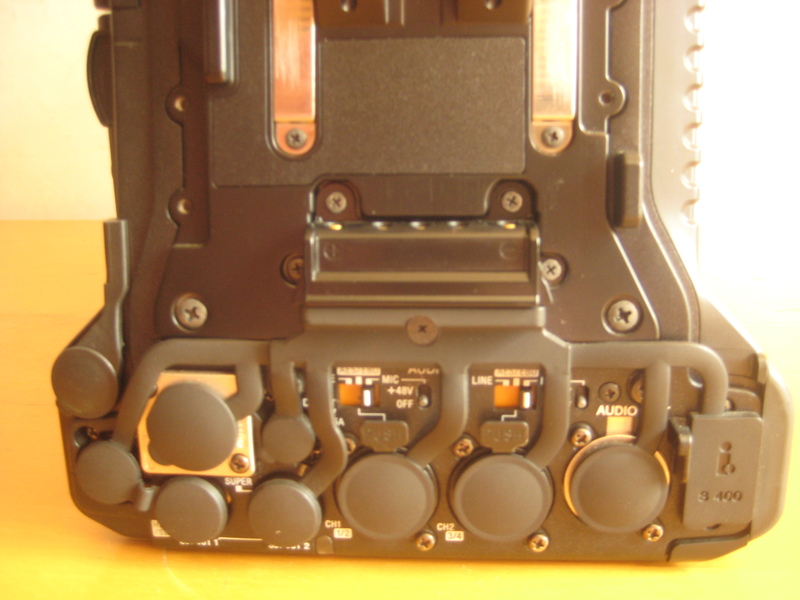 Benefit of Dual Layering The PFD50DLA dual-layered disc for the XDCAM series of cameras provides a bevy of enhancements over previous models. Most notably is a newly developed servo mechanism that helps decrease access errors, even when the camera is in an unstable environment. Advanced Video Chip Technology The camera uses advanced CCD technology. The Power HAD HD (1440x1080) CCDs have specifications that approach the very highest quality FIT chips found in top-tier equipment such as those used in HDTV production. The camera has an amazing 54 dB signal to noise ratio and smear level of -120 dB. The dynamic range of the camera makes it possible to control critical details in both the very brightest and lowest lighted portions of a scene. High Definition At Your Fingertips The PDW-F800 has a wide array of high definition frame rates and bit-rates to choose from, using the MPEG HD codec, based on the commonly used MPEG compression technique. Choose between the highest 35 Mbps bit rate for highest possible quality, or use 25 and 18 Mbps when longer run times are needed. The camera can shoot up to 120 minutes of high definition footage to one 23GB Blue Laser Disc. DVCAM Down conversion and iLINK Footage can be recorded in HD mode and then downconverted to DVCAM, and then output through iLINK to any non-linear editing system for high performance and compatibility. Progressive Recording The PDW-F800 has the ability to record in progressive mode, which enhances image quality and can provide a more 'film-like' image. The camera can switch between standard (30 fps) and 24P modes. The 24P mode gives video the look and shutter of film, which is conventionally shot at 24 frames per second. 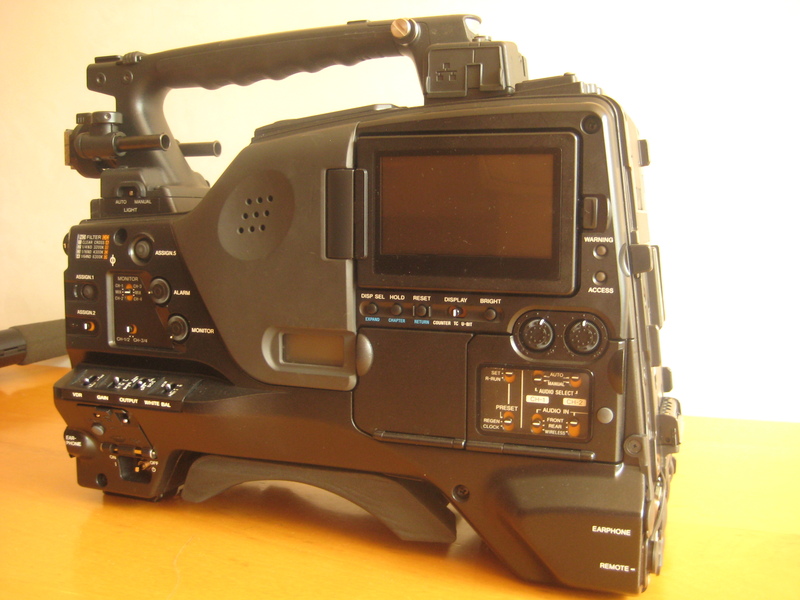 The camera also has the ability to shoot between 4 and 60 frames, commonly known as "over cranking" and "under cranking", which produces beautiful fast and slow motion effects. Loop Recording Camera Operators often find themselves missing the first few seconds of action due to camera pre roll. With the XDCAM this becomes a thing of the past! Simply set the camera to the "Loop Recording" mode and the camera will buffer 10 seconds of audio and video into the camera's memory. This capability can help prevent the loss of unexpected but important events occurring before the operator even has the chance to press the REC button. Thumbnail Scene Selection Blue Laser disc technology allows for quick and easy scene selection using Sony's attached LCD. Bringing up clips couldn't be any easier. Randomly access clips and review them seamlessly. Retrieve and save meta-data which can be very useful for scene matching and archiving purposes. Selectable File Recording Modes The PDW-F800 has the ability to select the manner in which clips are recorded onto the disc. Users have the ability to toggle between making one long clip, like on a video tape, or separate clips like those found on a digital still camera.